Three local high school golfers competed against more than just the top golfers in the state over the weekend. 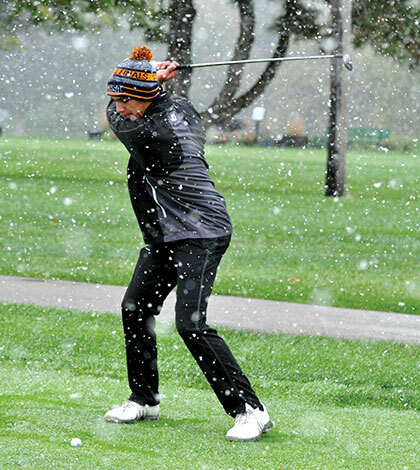 Snow canceled Friday’s opening round of the IHSA Class 2A boys state golf tournament at Weibring Golf Club in Normal after golfers tried their best to battle through the elements. The IHSA decided to make Saturday’s round an 18-hole tournament final. 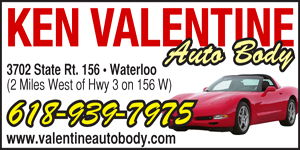 Waterloo’s Tre Wahlig finished in the middle of the pack when it was all said and done, shooting a 12-over-par 83 on Saturday. About an hour south at Red Tail Run Golf Club in Decatur, Columbia’s Mikaela Kossina and Casey Wagner competed in the Class 1A girls state golf tournament. While there was no snow in Decatur, golfers were forced to play through cold, windy and rainy conditions. Kossina finished Friday’s round tied for 11th place overall with a seven-over-par 79. She advanced to Saturday’s final and ended the tourney tied for 27th place with a 36-hole score of 166. Wagner shot a 102 on Friday and did not make the cut for Saturday’s final.